It’s no great leap to surmise that Essenza means 'essence' in Italian. What you get in this smart, intimate neighbourhood trattoria is the essence of fresh, seasonal, Italian cooking. This boxy little spot is simply trendy, with persimmon banquettes, white table cloths, wood chairs, a smart little bar, and it is packed to the gills with similarly smart and trendy Notting Hill locals who all seem to know the waiters and each other. The menu roams the regions, featuring excellent standards like starter of caprese or beef carpaccio, home made pastas like fettuccine with porcini mushrooms and bacon sauce, main course of grilled selection of shellfish, and dessert of chocolate and coffee tiramisu. The mostly Italian wine list features a couple of nice grappas, too. Express Business Lunch and thoughtful Children’s Menu are welcome extras. Wonderful meal in a cozy spot in Notting Hill. The staff was very friendly, and they even re-made a pasta for me to cater to my dietary needs! Both the pasta and the fish were fresh and delicious. We will definitely try to get back soon - thank you all so much! Excellent fresh ingredients expertly prepared. Intimate small bistro ambiance, quiet enough for our whole party to be able to chat together without shouting — overall wonderful place. Perfect Sunday Night Dinner, the service was great, the meal excellent. A true Neighbourhood gem and always a reliable Italian with a solid wine list and excellent specials. Lovely neighbourhood restaurant. Start with the Rosemary crisp bread which is fantastic. Th past was amazing and we enjoyed some lovey wine. Excellent as usual. A favorite always when we are in London! This is a difficult review to write because basically the restaurant didn't do anything wrong. I think the fault is mine because I was led by the staff rather than looking at the menu - for example, I asked for a glass of dry white wine, perhaps a Sauvignon. He recommended a Gavi, which was indeed very nice, and so it should have been for £12.50 a glass (which I only realised when I received the bill). He explained that porcini mushrooms were the special of the day. Looking at the menu, I saw a pasta dish with mushrooms and bacon for £14.50 so I asked if I could have that with the porcinis. That turned up on my bill for £25. So yes, I had a perfectly pleasant lunch with my business colleague - but I was genuinely gobsmacked to get a bill for just under £130! Excellent food and lovely atmosphere. We had a lovely intimate dinner whilst still enjoying the buzz. Cozy...great food..friendly service..nice feel ambiance in a quiet neighborhood. Fresh and tasty food, reasonably priced. Lovely restaurant with great food and great service. Italian owner and run. Here was a constant stream of delivery drivers collecting take out which was not distracting but does speak to the quality of the food. 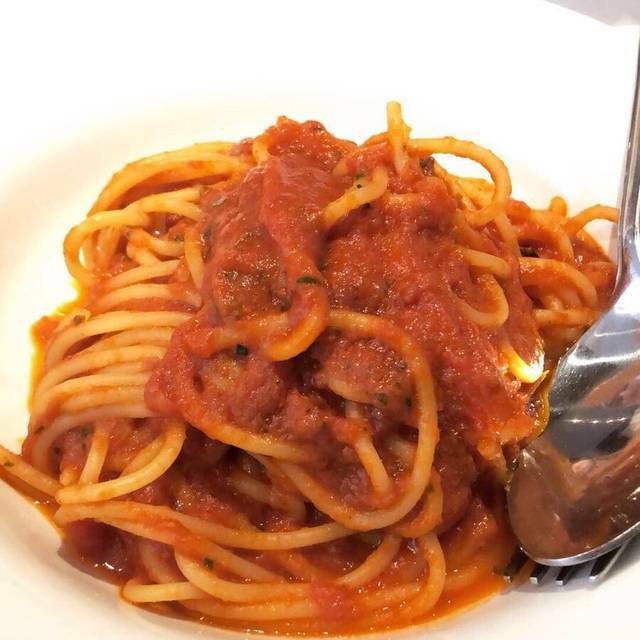 Excellent, authentic Italian food that is so tasty. Fresh ingredients and excellent value for money. Will definitely go back! Amazing food and service. 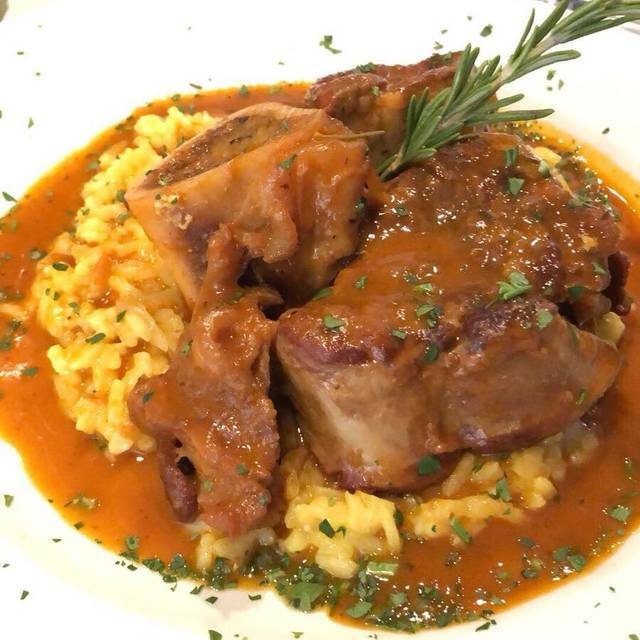 Don’t forget to try their ossobuco. Meh! Was hoping for something a little more exciting.... we were one of two tables being served... the waiters keep making take out bags... seems more like a reliable neighborhood take out place... nothing special. Always great service and great food. Very reliable and always enjoyable. One of the most authentic Italian restaurants in London. Like stepping in to a back street in Rome, with specialities from all around Italy. Good traditional Italian food and fab service with knowledgeable staff.. very helpful. However place can get noisy at times.. Very friendly service and delicious food, well cooked, not fussy, very tasty, fresh ingredients. Thoroughly enjoyed the meal. Rather cramped sitting and decor rather tired. I would definitely go back and would recommend for everyday dining . Not cheap. Food, service and value were excellent. The ambience was normal, if it was an amazingly decorated place it would be perfect. Attentive staff and authentic food. A great place to take my parents for a quiet dinner. The staff kindly stayed on for us (arrived 23:00). Very good service and quality of food was excellent. Nice cosy ambiance. Thought price for wine was a bit excessive although this is London. 12.5% service charge added to bill, didn't notice until I had left. We have been going to Essenza for over a decade probably 2-3 times a month and even though we now live 20 mins drive away we keep coming back for the good Italian food, great wine and warm welcome - they're even nice to our kids if we bring them! This restaurant is a favorite of ours for many years now. The staff is very service oriented, and they always remember us. The food is excellent, although I would rate their seafood the best. Located in a nice quiet street, away from the traffic and noise of Central London. A very good place to take friends and have a very enjoyable lunch or dinner. Tricky review to write... the food is nice, the atmosphere is cozy, but considering the sister restaurants level this one is a bit disappointing. 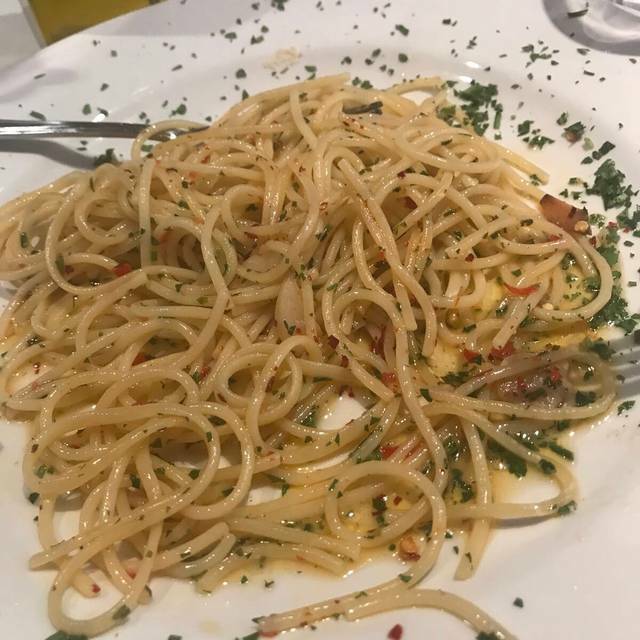 The service felt a bit rushed, and the price are a bit high for the area and compared to other good Italians you can find. If the price were 20% lower I'd recommend it, but for mains in the mid-20s and starters in the low teens there are better choices. Or, if the service was better, friendlier, it would work. Nice restaurant and authentic Italian food. All went well but service a bit slow. I have been here twice and the food has been sensational both times. The staff are friendly too which always helps. Food definitely not as good as it used to be. We used to love whatever we had; but this time it was oily and heavy. We will give it another try in case it was just an off night but if no better it will be crossed off our list.